As a personal trainer and lifestyle coach, I have to deal with a lot of set backs. We’re human. We fail. We get back up and try again. This post is about going for your ultimate goal and not letting anything stand in your way. 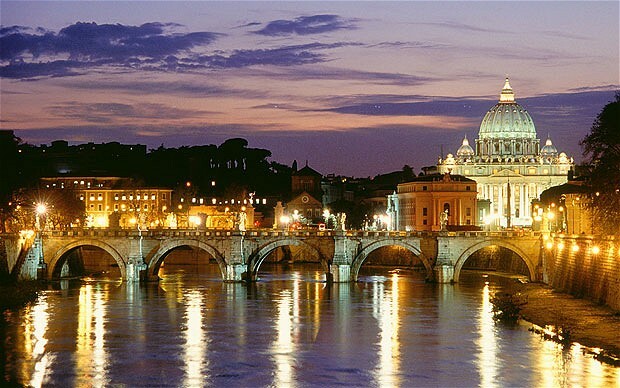 You need to build your Rome, no matter what bridges you must cross or burn. Whatever your Rome may be: losing weight, winning a show, landing a big job, getting a raise, or publishing a novel; You can do it. Now, of course not everything works out. Let’s not fill ourselves with false hope. Let’s fill ourselves with real commitment, dedication, and control. Challenge yourself to go beyond that tiny comfort zone and do something different. Try something new. If your blueprint for Rome isn’t working, draw up a new plan. This is not as easy as it seems. As I write this to you, I write this to myself as well. I’m working on my very own Rome, and it is one hell of a project. Life isn’t easy, but when it comes down to making huge decisions, you have to remember the end goal. When you remember your finished project, you’ll be able to make the right choices to build it. Put things into perspective. It’s easy to lose perspective. It’s not simple to step outside of your current life and analyze it as if it were a picture in a frame. Pick out the “what’s wrong with this picture” parts. Remember that game? Two pictures side by side. One has 15 things wrong in it. Draw up your life in your mind. Pick out those upside down hats, backwards faces, and torn shirts. Get them out of there. Re-arrange your picture so that it’s pretty and organized. It may hurt a bit. It may hurt a lot. Actually let’s be honest…Emotionally, physically, and mentally, it will hurt. No pain, no gain, right? Commit yourself to your Rome. Make a plan of action and follow through the steps. If you have a setback, realign and forge ahead. Have control of yourself. Use your will power. Control each situation so that it is the best to build your Rome. This is the difficult one. You must challenge your current life, thoughts, emotions, and physical being to be something better, different, and successful. To challenge yourself means tackling that thing you fear. It’s hard, but it’s worth it. Credit to Dr. Sal Maddi for teaching me the laws of hardiness and the 3 C’s. Thank you! Good luck in your endeavors, Ivan!